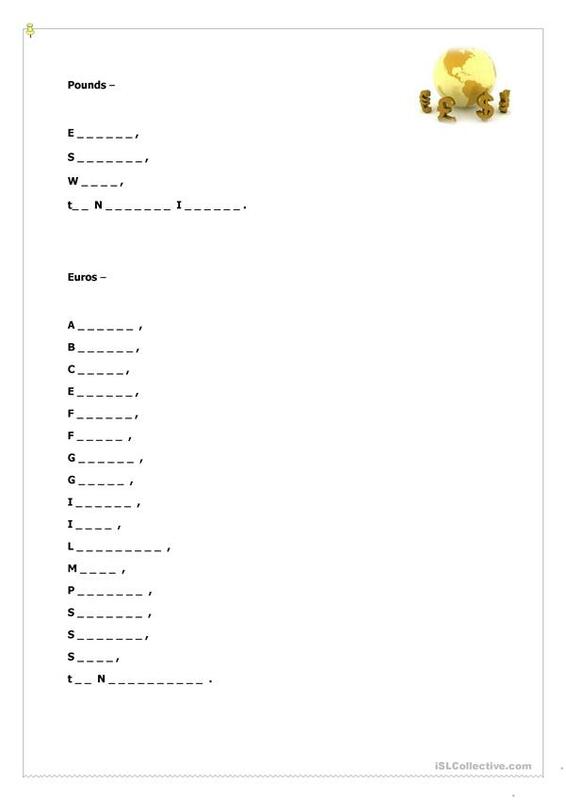 With this worksheet you can also practise spelling and pronunciation. 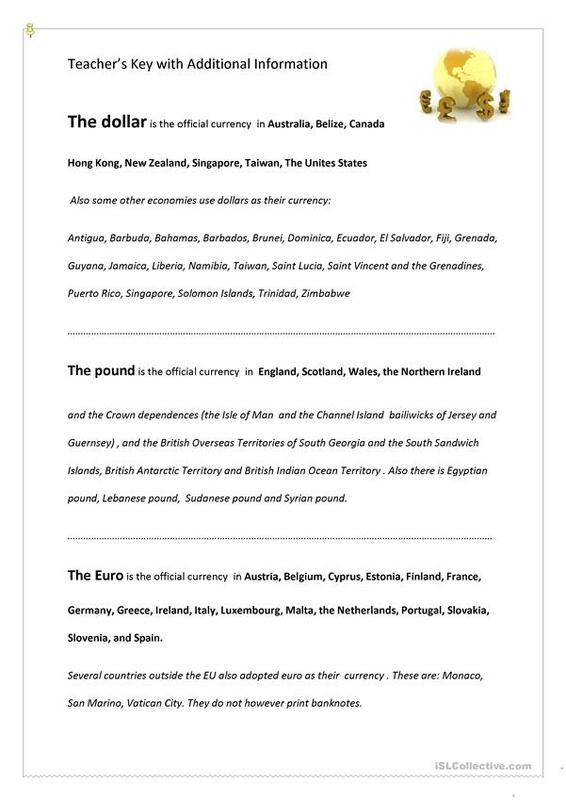 This printable, downloadable handout is meant for business/professional students, high school students, elementary school students and adults at Beginner (pre-A1), Elementary (A1), Pre-intermediate (A2) and Intermediate (B1) level. It is valuable for practising Nouns in English, and was designed for enhancing your learners' Spelling, Speaking and Writing skills. 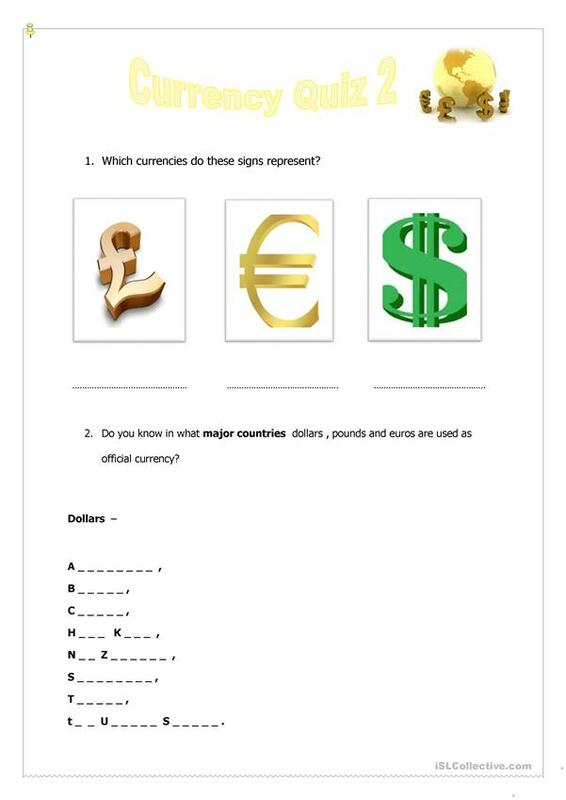 It focuses on the vocabulary topic of Money. It includes a key, too.